Your customers are Canadian. Your business is Canadian. Shouldn't you hire a Canadian SEO company? We realize there are reputable foreign SEO companies but in these challenging economic times it just makes sense to buy Canadian. Not only do you support local businesses but you can avoid unfavourable exchange rates and save money on your investment. Are you targeting specific cities within Canada? Local search engine optimization emerged as one of the hottest topics in the industry several years ago. Our founder, John Metzler, was even interviewed by Profit Magazine in November 2004 to comment on the new Google Local Business Search feature. Since then, we have offered our clients a number of ways to target local customers, including local directories, niche directories, registering the best domain names, local keyword analysis, setup of Google Places listings and more. Companies need to maximize each and every advertising dollar. Don't waste money by targeting general keywords and ignoring the niche terms and opportunities on the search engines. Keyword and market analysis is the first step in an SEO campaign for a reason -- it creates the framework in which we will work going forward. Your web content needs to reflect the specific phrases and topics that potential customers actually search for. If it doesn't, your efforts will be in vain. This is where a Canadian SEO firm can help you find local business opportunities and give you the advantage you need. Local search engine optimization available in Canadian cities: Calgary, Edmonton, Halifax, Hamilton, Mississauga, Montreal, Ottawa, Saskatoon, Toronto, Vancouver, Victoria, Winnipeg. 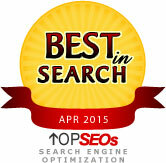 We provide economical SEO services for Canadian and International clients.